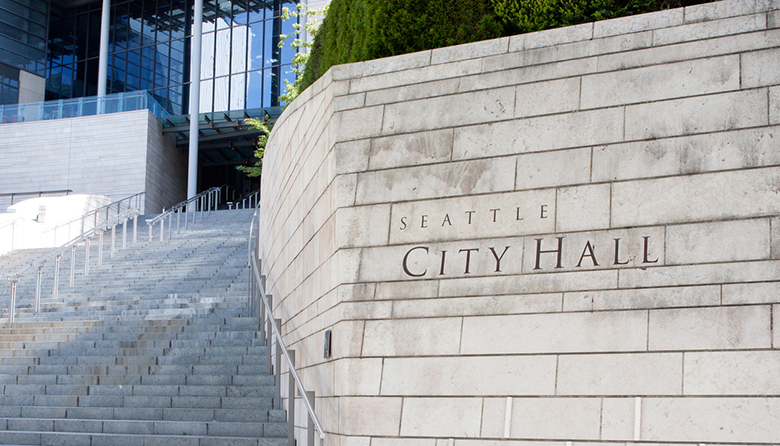 Six years ago, Seattle voters decided they wanted to elect seven of their nine city council members by geographical district, leading to the city’s first district elections in 2015 in almost 100 years. Here’s a quick look at who’s running in Districts 1, 2 and 3. Check back Thursday and Friday for an update on who’s running in the remaining districts. The filing deadline for the August 6 primary election is May 17. A graduate student and owner of Little Woody’s Popcorn in South Park, Greene told the West Seattle Blog he’s running to bring a small-business perspective to the council. He says the city hasn’t been transparent about where it spends its funding for homelessness, and opposed the head tax because he felt it was blaming businesses for the homelessness crisis. A Seattle City Light employee who is running as an independent, Peguero says his top priority will be “working with community to foster transparency, equity, and cultural accessibility in government.” His platform calls for additional 24/7 low-barrier encampments for people experiencing homelessness, allowing multifamily housing in more of the city and repurposing the King County juvenile justice center instead of building a new jail for youth.